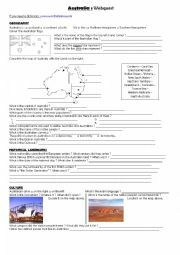 Describing a cartoon about child labour in developing countries , reading comprehension, expressing contrast, ING present, If sentences using conditional, reordering words This is definitely a writing and reading worksheet. 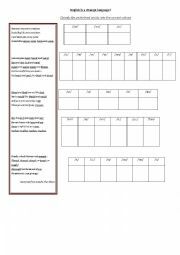 A worksheet on the very beginning of the film with answers. 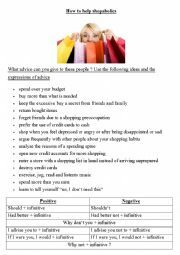 A good listening and speaking activity with vocabulary related to shopping and to the cons�quences of compulsive buying. Students will have to use expressions of advice, hypothesis, wishes. 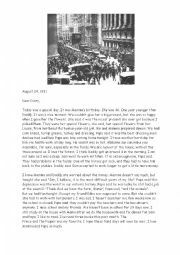 Definitely a reading activity.This is a short text about the consequences of the crash of Wall Street in 1929 on a family. 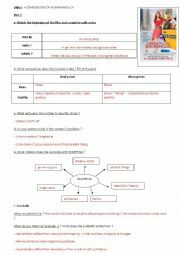 It includes activities like TRUE or FALSE, REPHRASING USING LINKWORDS, WRITTEN EXPRESSION (complaining and suggesting). 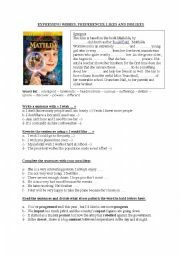 A short synopsis on the film "Matilda" and three exercises to practise expressions of wishes, likes and dislikes + 1 exercise on stress pattern. 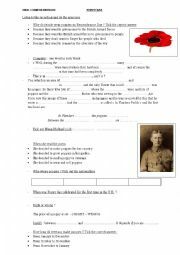 As we are commemorating the centennial of the Great War this year, this is a listening comprehension exercise for pupils to understand the origins of Poppy Day. Multiple choice questions, gapfillers, Right/wrong. The audio will be sent to you if you give me your email address. 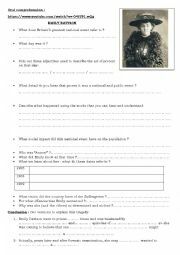 A worksheet on a video found on youtube about Emily Davison who was a suffragette at the beginning of the 20th century and who tragically died. I studied this video in relation with the movie SUFFRAGETTE which has been realeased at the cinema recently. Here is a short article about 9/11 for students to read. 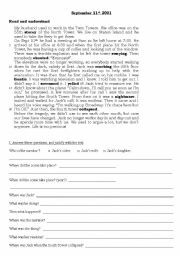 The first objective is a reading comprehension exercise. The second is about the difference between simple past and past continuous in a narrative.